AUA promotes the highest standards of urological clinical care through education, research and the formulation of health care policy. BCG Shortage: Please read the latest update. Check out the 2019 Daily News Preview Edition for a sneak peek at this year's Annual Meeting. Get a preview of the science and hear from leaders in urology about some of this year's exciting programs. Attend AUA's Fundamentals in Urology | Register by April 26 to Save! Gain an adequate foundation in the basic pathophysiology of clinical urology at this popular AUA course. Attendance will ensure fundamental knowledge of the "why" behind a broad expanse of general urologic conditions. 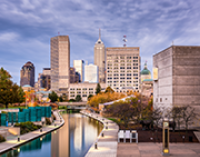 Are you Attending AUA2019? Don't Miss the Practice Management Conference! Expand your knowledge on the business of urology at the AUA's popular Practice Management Conference. This conference is the oldest and largest conference in the United States devoted EXCLUSIVELY to the trends and topics impacting the business of urology. Learn about coding changes, common coding questions, payment denials and more. Supplemental workshops and seminars are also available to hone the skills of anyone in the practice who is involved with CPT, HCPCS or ICD coding. We would love to hear your feedback. Please feel free to send us your thoughts, comments and questions to communications@AUAnet.org. SASP has been a leading educational resource for over 40 years! With 150 questions styled as the AUA and ABU examinations, SASP is an essential exam prep tool. 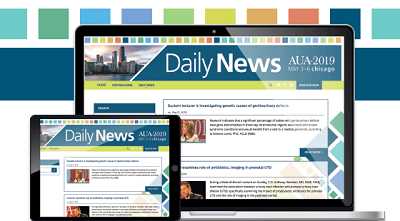 For the more timely topics and solid coverage of clinically relevant content, subscribe to the 2019 AUA Update Series - AUA's most popular self-study CME product. All new topics for 2019.